Hi my dear skincare-addicts, At the end of January I was stuck at home studying for my exams. Is there a better way to treat yourself than with a good skincare haul? There really isn’t, so I took the plunge and splurged on some new skincare bits from Leahlani. I chose GreenSoulCosmetics because they are based in Italy so I knew the delivery would be fast, but they ship everywhere and I highly encourage you to take a look at their website if you’re into green skincare. Their customer service was fantastic and it was the first time I’ve received a handwritten note with one of my orders. I picked two products: the Mermaid Mask, because it’s probably their most popular item, they even have a hashtag for it (#mermaidmondays), and the Champagne serum, because I was looking for something to replace the face oil I was running out of. Here are my first impressions after almost two months of using them. I say first impressions but after all this time I guess you can consider them full reviews. I chose this mask to see if the hype was real. It should “help to purify and renew the complexion”, “strengthen the skin cells, boost circulation, fight breakouts and moisturize”. My expectations were very high, to be honest. It’s not that easy to apply; especially the first few times. You have to mix the product well with a spatula the first time you open it. You then have to scoop a bit of product out – it’s a very dense and thick paste – and massage it on damp skin (your skin has to be damp, this is very important). It might seem easy, but it isn’t and I kept wondering if I was using the right amount because on damp skin the product glides and doesn’t seem to stick that well to the skin. Anyway… I’ve now mastered the technique, but it took some time. It doesn’t dry out so you can leave it on your skin for all the time you want/need. I find 30 minutes to be more than enough. It contains raw honey, organic spirulina and organic chlorella (both grown in Hawaii and both considered “superfoods”) which give it that emerald green colour and a few essential oils (see at the bottom). It has a delicate sweet smell. Since my first use, I haven’t noticed all of the things that other people noticed. I know each individual’s skin is different, and I try not to be influenced by other people’s experience. I found that it revealed a glow complexion, soothed the skin, but I didn’t find it nourishing enough and I sometimes felt that my skin was tight, like after you’ve used a foaming cleanser (most of you will know this feeling). So while I have enjoyed using it, I’m not stunned by it. I did expect a bit more to be honest. Final verdict: I’m happy that I’ve tried it, but it probably will not be a favourite mask of mine. I also got in touch with Leahlani’s founder, Leah. She kindly gave me some advice on how to get the most out of it, all of which I’ve tried: taking a shower with it, as the steam helps, (but it my case it only melted), making sure you use it on damp skin, massaging it in a circular motion, etc. I will let you know if I change my mind about it and I will keep on using it until it’s finished, of course. This oil is designed for all skin types, but is especially beneficial for “dry and sensitive skin prone to redness and inflammation” according to their website, and it should “help balance and soothe, reduce inflammation and help heal scarring”. The main oils it contains are: grapeseed oil, rosehip oil (not a favourite of mine when taken on its own) and jojoba oil along with a few essential oils (see the full ingredient list at the bottom). I love the packaging: a thick glass transparent bottle with a pump that works great – more practical than the usual pipette most serums have. The fragrance is not too strong and, to be honest, I can’t describe it. It’s very calming and it obviously doesn’t remain on the skin, but it makes the application very pleasant. I have used it on my skin almost every night, one pump is enough to cover my whole face, and I usually massage it all over for a few seconds. It doesn’t absorb very quickly, that’s why in my opinion you should only use it at night. It does what it says: in the morning I find my skin to be calm (no redness), hydrated – though I wish it was more nourishing – and the oil is fully absorbed, with no residue. Final verdict: I would highly recommend this product if you’re looking for a face oil to use at night and you have no specific concerns. It worked well on my skin and I think it has a great price point if you consider how long it will last and the fact that it’s made with green ingredients (and with LOVE, at they wrote on the label!). Organic cold pressed grapeseed oil (Vitis Vinifera), cold pressed chardonnay grapeseed oil (Vitis Vinifera Chardonnay), organic cold pressed rosehip oil (Rosa Canina), organic cold pressed jojoba oil (Simmondsia Chinensis), essential oils of: organic lavender (Lavandula Angustifolia), chamomile (Matricaria Chamomilla), organic orange (Citrus Nobilis), rose geranium (Pelargonium Graveolens), Leahlani antioxidant cocktail: (organic green tea (Camellia Sinensis), organic white tea (Camellia Sinensis), organic rooibos tea (Aspalathus Linearis), organic calendula (Calendula Officinalis), Vitamin E (Tocopheryl Acetate), organic sunflower oil (Helianthus Annuus) and LOVE. 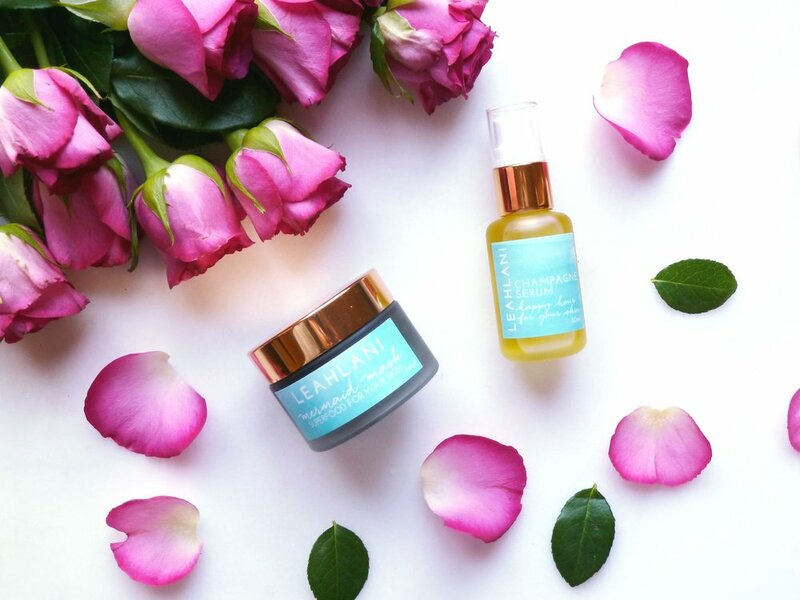 Have you tried Leahlani’s products? Let me know if you have any advice!